Haine participates in several national label programs that provide additional funding. These programs are Box Tops and Tyson Labels. 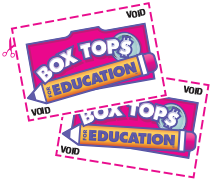 Points earned can be used to purchase supplies and equipment needed for the school.